This Greek salad is refreshing and tangy. I'll bet even the pickiest eaters will like it. If you need a little protein to go with this salad, feel free to pair it with one of the other chicken or fish recipes! 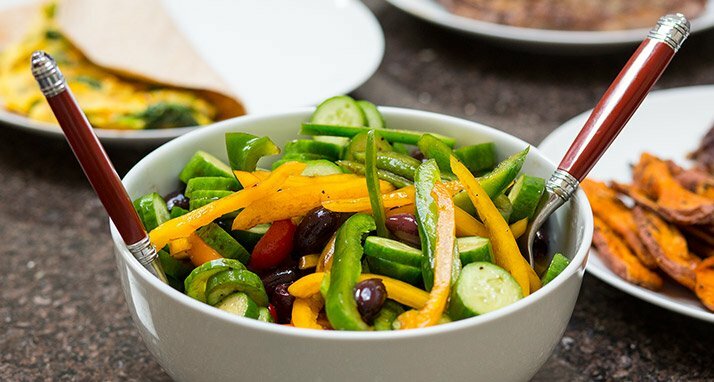 Add tomatoes, cucumbers, pepper, and olives to a large bowl. In a separate bowl, combine oil, vinegar, salt, oregano, and red pepper for dressing. Pour over vegetables and toss when ready to serve.